Dear students, the notification for the recruitment of Probationary Officers in the Public Sector Banks of India has already been released by IBPS and now, it's high time to start to prepare for the examination. The preliminary examination will be held in the month of October and mains examination in the month of November as per the official notification. Many of you would be preparing to appear in this exam for months while there must be a few students who are yet to start their preparations. In this article, we will be discussing how one should start her preparations for IBPS PO Examination 2018. 1. Get Yourself Acquainted With The Syllabus Of The Exam: Knowing every topic that will be asked in the examination is a must to start off the preparations for a competitive examination. Mere knowledge of the syllabus is not enough but you should also keep yourself updated about the recent changes introduced in the pattern or the questions now being asked in IBPS examinations. 2. Prepare A Study Plan: Once you prepare a study plan for an examination, you are bound to give a certain amount of time to a particular topic or subject. Once you are done with a particular topic, you are kind of excited for the next one. Also, when there is a plan, there is a deadline to wind up certain topics within a certain period of time. 3. Work On Your Strengths/Weaknesses: If you are good at a particular subject/topic, keep working on it until you become excellent at it (avoid the habit of procrastination). Also, if your concepts on any topic are not clear, you can watch free Youtube videos, refer to Adda247 Publications hard copy books or e-books and be on the ball to face IBPS PO 2018. You can also apply for IBPS Coaching Classes if you think your concepts are not that clear and you are not even able to clear them out on your own. 4. Keep Yourself Abreast Of Current Affairs: So much is happening every day that unless you keep yourself abreast of these changes you cannot adjust yourself to them or tackle the GA section of IBPS PO Exam 2018 smoothly and easily. To save your precious time, we provide you with an alternative that is our “Daily GK Update” (Available in both Hindi and English languages) that contains only the news that is important from the point of view of IBPS PO Examination. Apart from the GA Section, an excellent knowledge of current news also helps you deal with the GDPI and English Section by improving your vocabulary and reading skills. 5. Put What You Learn Into Practice: Practising with Test Series helps you ace the original tests/examinations. 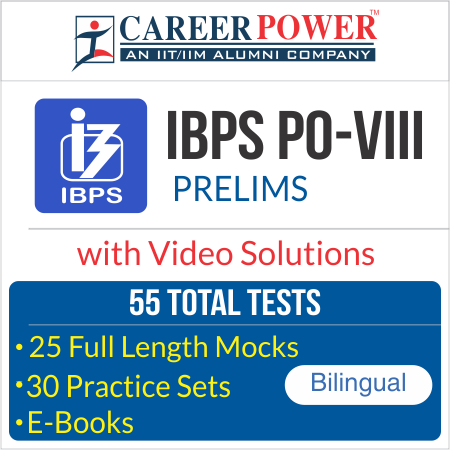 Computer-based Test Series for IBPS PO Exam 2018 also help you save your time as they simulate the real tests and let you know you how to attempt the questions in a way that you are able to attempt the maximum number of questions within the stipulated time. It also gives you an All India Rank so as you can assess where you stand and how much more you need to work. So, students, it's better late than never. Now you have to work against the clock to succeed in the upcoming IBPS PO 2018 Examinations as you are left with only a couple of months to prepare for it. Start preparing for it right away because regular studies reduce the level of stress, and the number of topics to be done does not accumulate into blizzards, hence provide the aspirant with a better physical and mental health. Best of luck! !